Edward, the eldest surviving son of Henry III and Eleanor of Provence, was born in 1239. When Edward was fifteen he married Eleanor of Castile. The couple had sixteen children but most of them did not reach adulthood. At first, Edward supported the barons in their struggle with Henry III. In May 1258 the barons went to see the king. They demanded that in future the king should not make decisions without consulting his barons. Fearing a civil war that he would lose, Henry accepted their demands for reform (the Provisions of Oxford). Fifteen barons, including Simon de Montfort, were selected to become members of this advisory council. However, it was not long before Henry was ignoring his advisers. When the barons complained, Henry bribed them with gifts. Montfort refused to change his mind over the need for a permanent council. He had a reputation for being sympathetic to the needs of ordinary people. This helped him gain the support of the majority of people who lived in the large towns and cities. For example, in London the people rebelled against Henry and handed over the city to Montfort. After rallying his supporters, the king decided to take on Montfort's army. The two sides met at Lewes in Sussex on 14th May 1264. The bishops of Chichester, London and Worcester, who were all supporters of Simon de Montfort, attempted to negotiate a truce before the battle started. However Henry, who had a much larger army and was confident of victory, refused to do a deal. Simon de Montfort had recently broken his leg falling from a horse and had to direct operations while sitting in a cart. However, it did not stop him winning a famous victory. At the end of the battle the king had been captured and those members of his army that had survived had fled from the battlefield. After his victory, Simon de Montfort organised a new parliament. As well as barons and leaders of the church, two representatives from each town were invited to attend parliament. The day-to-day running of the country was carried out by three men: Simon de Montfort, the Earl of Gloucester and the Bishop of Chichester. However, within a few months the barons started to complain that Montfort was acting like a king. Gilbert the Red, his second in command, argued with Simon and left London. Prince Edward had been imprisoned after the Battle of Lewes but on 26th May 1265 he managed to escape. In June 1265 Gilbert the Red met Edward in Ludlow. The two men raised an army and began their campaign by capturing Gloucester. When Simon de Montfort heard about the size of his enemy's army, he is reported to have said: "Let us commend our souls to God, because our bodies are theirs." A dawn attack at Kenilworth on 2nd August 1265 took forces led by Montfort's son by surprise. The following day Montfort's main army was attacked at Evesham. Prince Edward's army had an easy victory and Montfort's outnumbered army was slaughtered. After Simon de Montfort had been killed, his body was mutilated. His head was cut off and displayed round the country as a warning of what happened to people who rebelled against their king. Edward improved his reputation as a knight during the Eighth Crusade in 1270. 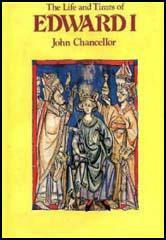 Henry III died in 1272 but Edward did not return to England for his coronation until 1274. Soon after assuming power Edward employed commissioners to tour the country in an effort to obtain information on local officials. This information was then used by the king to try and end efficiency and corruption in local government. Edward became concerned about the power of Gilbert the Red who controlled over 500 manors in England, Wales and Ireland. He decided that he had to find a way of guaranteeing his loyalty. In 1283, the king suggested that Gilbert should divorce his wife Alice, disinherit his children, and marry Joan, his 11 year old daughter. Gilbert was unhappy with King Edward's proposal. Gilbert was 40 years old and he knew that if he died before Joan had a child, all his lands would become the property of the king. Before Gilbert could get divorced and remarried he had to obtain permission from the Pope. Gilbert hoped that the Pope would say no but after a six year delay, permission was at last given for the marriage to take place. A talented military commander, Edward fought campaigns in Wales (1277-82 and 1294-95) and Scotland (1296-1305). 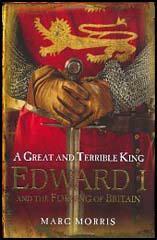 Edward was also involved in a long war to protect his lands in Gascony against Philip V of France. Edward's military campaigns proved to be very expensive and resulted in much higher taxation. In an effort to gain acceptance of this taxation, Edward held regular meetings of Parliament. In 1290 Edward obtained considerable wealth by expelling the Jews from England and then seizing their property. In 1306, Robert the Bruce had himself crowned king of Scotland. Although sixty-seven and in bad health, Edward marched north with his army but died near Carlisle in August, 1307. He was buried in Westminster Abbey with the inscription "Hammer of the Scots".